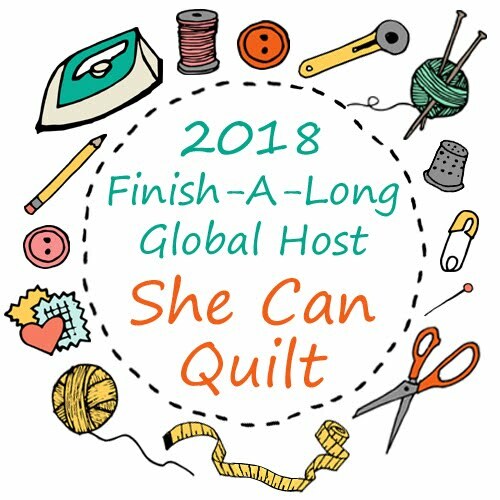 she can quilt: It is my first blog birthday today! It is my first blog birthday today! First, I am so thrilled to report that Shattered won the mini quilt category of the Tangerine Tango Challenge! You can read about the other winners here on Ali's blog a.squared.w. The truth is that every quilt entered in both catagories, in my view, are winners so you can see them all by clicking here and it is well worth the visit. You can also read my post about how the inspiration for Shattered happend here. I had to show you that picture, which I took Sunday afternoon. Shattered along with Shine and Twinkle. Shattered has inspired a series, and I believe that there are more to come. Shine went off to her new home today, she is for my lovely partner in the Fab Little Quilt Swap, so group photo was in order before she left. Today is March 12, and on March 12, one year ago, I wrote my first post on this blog. It is my blog birthday today - so that the news about Shattered was like a special blog birthday present. In celebration of my blog birthday, my friend Jennifer from Dragonfly Fabric, a wonderful Canadian on-line quilt shop, offered to sponsor a giveaway. 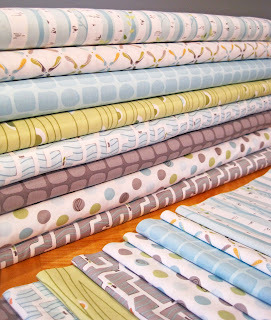 The winner gets 8 fat quarters from the Backyard Baby fabric collection by Patty Sloniger. That is a mosaic of the beautiful fat quarter set that Jennifer put together. Jennifer lives within minutes of Jasper National Park which is home to some of the most beautiful mountains in the world. She is an active winter sportswoman and so is her family. When she is not working with fabric, mothering, or enjoying the outdoors, she is working in her profession as a chemical engineer designing new products and problem solving - she is so interesting! She ships world wide and is really nice to deal with, just saying. To win the giveaway, just comment on this post. Let me know what you are planning for your spring (or fall, depending on your location, oops, thanks Marg) quilting and sewing. I will announce the winners on Saturday morning so get your comments in before then. And I leave you with this happy ring of rainbow baby geese. The pattern came from Bryerpatch Studio here and I reduced it by 50% or so. Yup, that is a bobbin up there in the corner, this is the start of my mug rug for the spring round of the Scrappy Mug Rug Swap. It's not done - so far it is about 6.5" square. Clearly, I also seem to be having a bit of a tiny paper piecing phase too. Enough for tonight, remember to comment letting me know what you are quilting or sewing this spring (or fall) and good luck on the giveaway. Yay for winning contests with AWESOME mini quilts (congrats)! And Yay for Canadian quilt shops! My spring sewing consists of all the projects I didn't get done during my winter sewing ;) Which basically means anything. This has been the slumpiest year ever for me! Sigh. It's a happy day here on She Can Quilt! It's obvious that you can quilt very well! I'm hoping to sew my girls some dresses, finish up my son's twin-sized quilt, make some birthday gifts, make my sister a pillow.... lots of plans! Congrats on one year(!) and congrats on your win(!). Both worth celebrating!! Either On a Whim OR Hopscotch are on my list shortly (or both) tho I am really loving the minis, so am planning to join a couple of swaps too! And it's wonderful to have Shattered win a prize!! I like it - I am glad it got a prize. Shine and Twinkle are really nice too - I love how you've quilted them - very, very nicely done. Go Shattered for being the jump off point for these creations!! And your mug rug is fun!! You could almost get dizzy looking at the flying geese as they go 'round the circle!! I have only made a couple mug rugs but they are fun to do. I made one out of selvages and liked it so much I did not want to use it!! I am using it now, but I still don't want it to get dirty!! lol! right now in the sewing circle, I am finishing off - taking it to the quilters I mean, a mystery I did through the summer. I have just finished it's border and now I want it DONE!! I am also working really hard not to start on a couple patterns I have, but I am sure I am loosing the battle!! When I am not paying attention to what I am doing, I have found myself putting fabrics together to see if they would 'work'!! I am not supposed to even thinking of starting anything new, but I am sure I am..... so, right now I am planning a day of sewing with friends to get caught up on things, am going to see a trunk show on Wednedsday - like i need more insperation, but who knows!! And the rest of the week will be spent doing the list I made for myself and not thinking about starting something new!! I will see how that goes!! Here is to another year of reading what you are doing!! Cheers!! I do like seeing Shattered, Shine and Twinkle next to each other. I'm working on a blues-turquoise baby quilt, and have a scrappy-star quilt that needs the quilting finished. Congratulations on your win and happy blogiversary! Thanks for introducing me to another Canadian shop. As much as I like the biggies south of the border, I try to shop our side as much as possible! This spring I'm finally finishing my kids' quilts, maybe even starting one for myself too! Yay for your first year...here's to many more! Lovely fabric...thanks for a chance to win some. That mug rug is so PERFECTly adorable. I have many projects going on. I'm making my daughter some crazily pieced curtains with chevrons and big blogs and crazy quilt patches. One panel is done and hung today. I hope to get the other done tomorrow. Otherwise, I play around with various techniques, making them into kid quilts for kids in foster care (I'm a foster mom). Next up is trying out paper piecing on my first New York Beauty. Congratulations on your very well deserved win. I love Shattered, in fact I love all of your work. You are an inspiration. Congratulations too on your 1 year anniversary. As it is going into autumn here, my autumn sewing list, includes trying to finish off a couple more WIP's and also try some more FPP, I really want to try making some New York Beauty blocks. I am going to a quilt retreat in April. We always have a mystery quilt to do there so that will be my next big project. Right now I am finishing up a bunch of UFO projects. Hoping to lower that pile by a huge amount by the end of march. Wow! You have had quite a successful year with your blog! Congrats! And also congrats on the tangerine tango challenge win, your mini was amazing! Let's see this spring I plan of focusing on quilting projects. I have about 4 quilts that I need to finish! I just bought a fancy new machine, so my spring will be full of putting it through it's paces. I have a couple of commission quilts to finish up! Congratulations on the win! You deserved it. ALL of those minis are totally awesome. And holy cow that is so cool! All those tiny baby geese! WOW! Spring quilting and sewing: pouches, a quilt for my dad with some Rocky and Bullwinkle fabric and lots of UFO catch ups. Happy blog birthday, Leanne! You have accomplished so much and shared it with us. I seem to be in QAL mode right now, with Sew Out Loud and New York Beauty both in progress! Thanks for a great giveaway, and I look forward to more of your creations in the coming year. Yippee - for the won! So well deserved. Happy blog birthday too. Can't wait to meet you in real life in June. My projects for this spring are to get going on Stained Pink QAL, get time to work on One For the Birds and decide on a plan for my HR Fan Club Quilt. Oh and another Mouthy swap, and rumour has it Rhonda has a swap planned too. Congratulations on the win, I just saw it when Debbie (a quilter's table) posted the link. Shattered is awesome! This spring I plan to make a few more baby blankies to go to our local hospital foundation. Also trying to use up some scraps! Oh, I don't know what it comment on first! Congratulations all round - I am SO pleased you mini quilt WON!!!!!! It was definitely my favourite! Your work is amazing! And congrats for one fabulous year of blogging! Plans for Autumn- get some projects finished: FW quilt, and "Summer Stars" are at the top of the list! Great giveaway - thanks! Happy Blogiversary? Has it only been a year? I must have started following you (via Google Reader) pretty much since the beginning! My summer sewing plans include a baby quilt, a wedding quilt, a quilt for my Uncle Reg's 90th birthday in August, and quilts for my 22 year old son and 25 year old daughter. Ha! We'll see how far I get. Happy blogiversary! This spring I have several swaps and bees to finish sewing for and I would really like to sew a shirt for myself. I don't have any experience sewing clothes so it may be a long project. Congratulations! What an awesome milestone. I'm going to finish a quilt with rose star blocks in the not too distant future. I finished another block today, so hopefully I'm on my way! Happy blog birthday Leanne! And a big congratulations on the win! I love your mini series, each of the minis is so beautiful. And the tiny geese are so lovely, too. As for my spring sewing, I'm going to finish two wavy quilts, continue with a quilt for my cousin's wedding and sqeeze in a tova tunic for myself. Congratulations Leanne - that is an awesome win! Ooh spring - I think I need to clear the decks of all the things I want to finish, all those WIPS and hangers-ons, so I can have a carefree summer! Richly deserved...but then you probably knew I thought that anyway! And is it really only a year ago you appeared in the blog world? My spring plans are just to carry on being inspired and quilting my socks off! I have two charity quilts and two baby quilts in progress; I need to focus! Congratulations on your Blogiversary - I'm so very pleased you started your blog. Well done for Shattered - it deserved it. Love the new one as well. For the spring, I have to make a name tag for the FQ Retreat swap, something for our Guild challenge and finally finish the PP quilt I've been working on for over a year. congrats on your win also for your blogaversary,i have started doing the new york beauty blocks !! Happy blogiversary! Congrats on your big win. My plans for this spring are to continue to clean out my WIP boxes and finish, finish, finish. I have only been quilting for a little over a year now, but when I started I had to buy everything. Now that I am on a fabric diet I'm trying to finish what I have started and do some spring cleaning of my fabric bins. Happy SPRING! Thanks for the chance to win your giveaway. Congrats & Happy Blogiversary! That group photo is fab! Spring sewing... to do some sewing! I haven't touched my machine in over a month, terrible I know! Congratulations Leanne!!! I wish you happy anniversary! Your quilts are amazing and I'm so happy to know you and follow your beautiful blog! Thank you for sharing those lovely fabrics - I want those trees! I would like to make patchwork curtains and a beautiful 'light colour' quilt as those fabrics are! What lovely mini quilts - you deserved to win :) and happy blog birthday too!! Oh brilliant - I'm so glad you won. It's a beautiful quilt. And well done on your blogiversary - I really enjoy reading your blog, and love all your work. I love the circle of geese, how tiny!! Congratulations on your well deserved win :-) shattered is wonderful, and nice to have a picture of all three minis together. This spring, I would like to finish my first full size quilt top (my 4x4) and work on some zippered pouches. Lastly, your tiny geese are adorable! Happy Blogiversary and congrats on Shattered - it is beautiful! Love your circle of geese too - everything lines up so well! Everything looks so good. Congratulations, they are all winners, as is the fabric collection. I am hoping to get my daughter's wedding quilt finished. Baby number 3 is on the way. sheesh! Congratulations, Leanne! Shattered is amazing, as are the other two. Happy birthday to your blog, too! My spring sewing will probably include a few baby quilts for friends and possibly a pathetic attempt a sewing a maternity shirt for myself. Thanks for an excellent giveaway! Wow, that is super tiny precise piercing! Happy blog birthday. And congratulations on your well deserved win. Congrats on Shattered! And happy blog birthday! I love your quilts. Beaufitul craftsmanship. Maybe I should sing Oh Canada for you? :o) Well I would, but I'm too gobsmacked by the mini geese. Everything about it is right up my alley. Rainbow. Mini. Paper pieced. I must try it!! This spring I plan on watching a lot of baseball and doing lots of sewing! 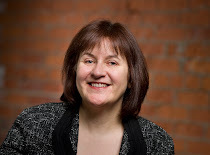 Happy blogiversary, Leanne! and congrats on winning Tangerine Tango challenge. I love seeing all your quilts, they are so wonderfully inspirational. Love the tiny geese,too. although making them would probably kill me. i am quilting a baby blanket for some dear friends who are having their first child. I am also working on a quilt for my hubby. I love this line and have wanting to get some. Thanks for the chance and happy blogiversary! Congratulations, and thanks for a year of inspiration from you to all of us! I am going to try following your examples and work smaller. My walls need some art! Baby quilts are in the air for me this Spring. I have one ready to deliver, and another (started last week) that should be ready to pre wash by the end of the day. I had to check out your sponsor's website because I am a Chemical Engineer too. Many many congratulations Leanne, I'm loving all you're up to!! These wee geese are gobsmackinly tiny... you clearly are the queen of flippin triangles!!! I am going to try not to start any new projects before finishing the ones I started this winter! I do hope to try my hand at hand quilting before the end of the season though! We are going away in the caravan in a few weeks, so I will probably take some hand sewing. I am currently working on the New York Beauty sewalong, but I am sure I will have more projects under way pretty soon - especially with my colleague expecting a baby girl! Thanks for the giveaway! Congratulations on winning with the quilt. It is amazing. I love the colour combination. And congratulations on one year blogging. I am currently following a mystery quilt as well as a quilt-along and hope to continue to do some quilting throughout the summer. Otherwise, it is knitting, photography, glass etching. chain maille, cross stitch etc. No shortage of things to do. Yah for 1 year blogging! My bigger sewing projects for the spring include learning to use a long arm for bigger quilts and making an i spy quilt for my daughters daycare. Some backyard baby prints would be awesome in there! A well deserved win in my opinion. I was happy to see an entry I already knew and liked so much at the top of the heap. I'm thinking my plans for this year will be to get more practice in paper piecing, since it looks so great when it's done right. Thx for the nice giveaway and Happy Blogiversary! I plan to get as many quilts finished as I can before it gets too nice outside. I also promised to make my niece a quilt and I would love to have it finished in time for her b-day in May. Thanks for the chance to win! Gotta love when the fabric shop is Canadian! I have signed myself up for Weestock in Edmonton, so my spring sewing involves a lot of kids clothes. The more I see quilty things on Flickr and Pinterest, the more I want to try making all sorts of other things though. Yay- Happy Blogaversary!! :). If the weather cooperates I plan on spending some quality time outside with the kiddos this Spring. My spring sewing activities are to complete the Summer Sampler Series and Solstice Stars Series for a large sampler quilt. If I finish in time, I'm going to donate that quilt to my family's annual church auction. I love your Shattered quilt! This Spring I'm planning on finishing a wedding quilt for my niece and piecing a quilt for my daughter made of the Echo line - or as much as I can find here in the UK! Beautiful quilties--and that little circle of geese is amazing! For spring, I plan on actually quilting some quilt tops that I've had sitting for a bit (that or I'll send them out to be quilted so I can start something new, hehe). Wow you are amazing to do those tiny flying geese! That mug rug is going to be amazing. This spring I am making a baby quilt adapted from the Oh my Stars! quilt along pattern. I really didn't know what I was getting myself into (time commitment-wise) when I started, but I love how it is looking so I forage on! I am reluctant to make plans as I know I never manage to get everything done. So I just have a fwe birthday presents and some swaps and if possible something for me on the list. I'm nore the slow and steady kind of sewer everything takes a little longer if I do it. of applique projects this spring. Thanks for the chanced to win!! Double congratulations Leanne!! I cant `believe you have only been blogging a year so happy first blogiversary! Secondly, so thrilled that Shattered won...it`s so amazingly gorgeous! Thirdly, how gorgeous is that bundle? Thanks so much for the chance to win it. I have have have to make my mum`s quilt! I don't want to take part in giveaway (strange, right?) - I just wanted to let you know that I was sure that your mini wins. It was my favorite quilt in the contest. So I am really glad that you won:) Congrats!!! Congrats on the birthday. I love the baby geese block. I need to learn to paper piece. The giveaway fabrics are lovely. Congratulations on your blogiversary and wining the competition! I plan to sew a Tova Tunic next, parallel to my Echino Bird Quilt. Both are for spring, maybe even together for a picnic in the park get month. I love your baby geese ring. I have plans to sew a new bag for the spring and work on a quilt for my bed, just haven't found the right pattern for my fabric. Happy blog birthday, and congrats on the Tangerine Tango win! My spring sewing will be mostly bee and swap blocks, snd (hopefully) finishing up some quilts for my kids. Congratulations on winning the Tango challenge! wonderful colors of your giveaway, cant wait till its more spring here, more sun, and going out with the kids, and for sewing, will decorate the whole living room in greens and whites. Yay, congratulations on your win: very well deserved. Thank you for organising this lovely giveaway, and congratulations on your blog birthday! Fab quilts you have made! I'm determined to finish a wall hanging wip this spring. And to make a quilted purse or two (or more). This Spring I have my AMH voile quilt to start, and my Timeless Treasures Stitch Star project to complete! Congratulations! That's quite an accomplishment and I wish you the best in your second year. I so love your blog and your quilts they are inspiring. I plan to make a mini similar to shine when I get some time to slow down bought fabric and a background now just have to get past the next 2 or so weeks (down to the last 2 week countdown for my baby due in 2 weeks). Thanks again for all you share with us. Congratulations on the win and on your blogiversary! I can't believe you've only been blogging for a year. That's awesome! I'm working on a few projects with solids this spring. Bought a Kona dark jelly roll recently that I'm dying to get into. Thanks for the giveaway! i love all your projects! Happy one year! LOVE YOUR BLOG! THIS IS A SWEET GIVEAWAY! THANKS FOR SHARING! wow! what a fun blog you have! I just popped over from one stop giveaway hop and immediately recognized shattered from Modern quilts--I was floored when i saw it for the first time and you were so sweet when you spoke of the process. I loved the way that quilt unveiled itself to you, through you. awesome reading. Shattered is such an amazing quilt, it definitely deserved to win! This spring I need to finish up a bunch of baby quilts. 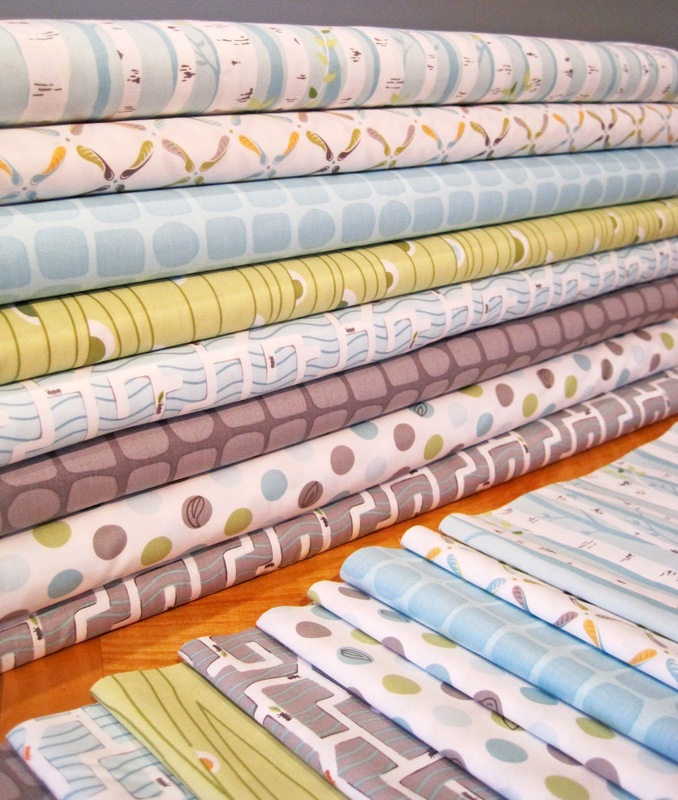 This spring I am going to work up the courage to cut into my Echo prints to make a quilt for me! Just have to decide on a design. just starting a quilt for my daughters ballet groups fundraiser...rail fence, sherbet pips jelly roll...sure hope it goes together as easy as i think it will! COngrats! And happy blog birthday! I have a number of quilt tops to baste and quilt. I want to clear at least 2 boxes of bee blocks waiting to become quilts. Congratulations on your win with shattered! My goal for spring is to finish a bunch of the tops that have been hanging around since this time last year! Congratulations!!!! I want to rearrange our flower beds and I have quilt designs rumbling around in my mind. My daughter told me today that she wants me to make two baby presents for her to give to two of her friends, so I guess I will be making baby quilts and I want to make bags. I am just glad it was a warm winter and our snow is gone. It usually is here until the end of April! :) Thank you! Congrats to you on a win on a fabulous quilt! I love the family picture of the three of them - your partner is very lucky! Ohhhh! I love that fabric line - and very appropriate for a new grandbaby quilt, wouldn't you say? What am I working on this spring? A scrap quilt, and finishing off two more UFOs plus I want to start a new quilt at the retreat I'm going to mid April. Happy bloggy birthday! Right now I am finishing 4 little chick quilts for my 4 little chicks. Then I would like to try some modern block quilts. I love your Shattered quilt. Congratulations on your win. 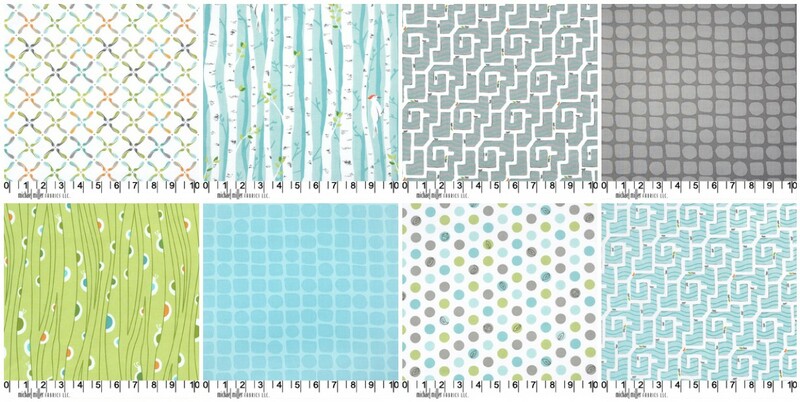 Thanks for the info on Dragonfly Fabrics. 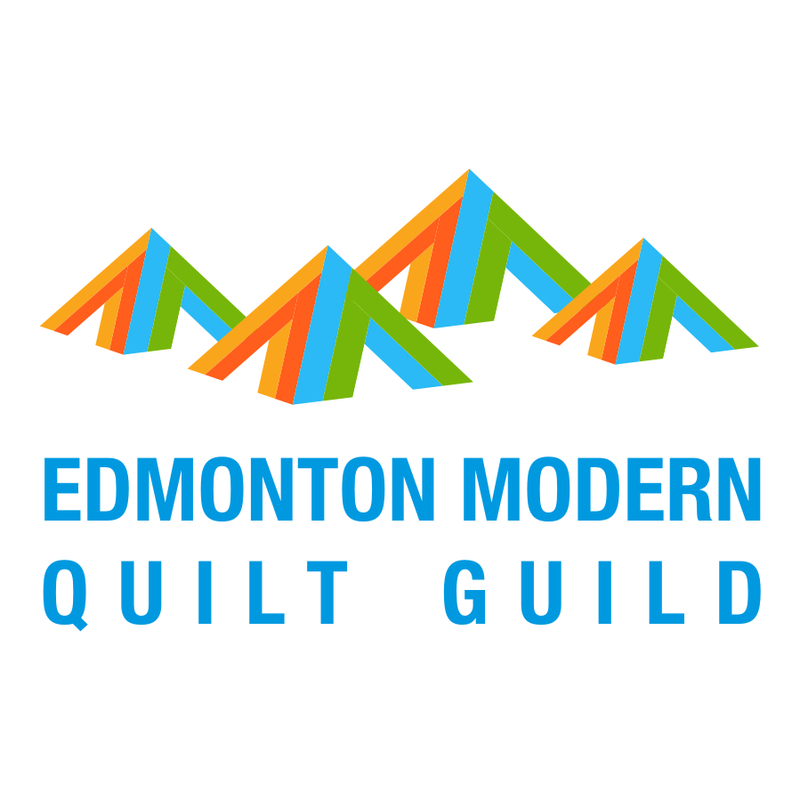 I like to bookmark Canadian quilt shops, and hadn't heard of that one. This spring, I am working on two baby quilts - for babies due in June. I'm pretty slow, so this is cutting it close! Happy birthday! I've got a lot of projects in the works including family room pillows, quilts for my girls' beds, and a quilt for my own bed. Thanks for the giveaway! 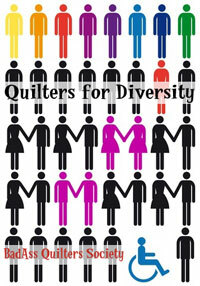 I have several quilts in the que but I need to do a child's quilt for charity and this win would be perfect. Congrats on the win and anniversary! My spring time plans are to catch up on my BOM Just Takes 2 quilt and some warm weather garment sewing. Thanks for the opportunity to win the fat quarters! I love your rainbow baby geese. Its spring here and l'm going to be working in 2 baby quilts for later in the year and trying to make some trousers for summer for me. Also trying to get the perfect zip in a zippered pouch, l'm new to sewing and quilting. Congratulations on you win! I definitely understand why you won, your mini is gorgeous ! This spring, I'm planning to make a quilt for a friend of mine (and I'm using Backyard Baby!) and I want to make a suprise to my mom and finish a quilt she started a couple years ago. I also just finished a queen sized quilt for her (my mom's) birthday. And those flying geese... they seem to be so tiny !! It's gorgeous ! Congrats on your blog birthday present! What great timing! I'm planning to make myself a purse this spring, but it might get pushed off to later in the year if I can't decide on which fabric I want! It's Autumn here in Aus but I live on the south coast so it's almost like winter here already, meaning my blue and grey quilt suits the weather. I'm loving grey at the moment (although I wish my sky was blue instead) and those fabrics are absolutely gorgeous. The world needs more pretty grey fabrics! I'm working on some pillows right now that I hope to finish by the end of the month. And gardening, there is always gardening…..
Hey Leanne--Congratulations on being the winner with that amazing quilt. (Really, do you sleep at night, or stay up thinking up terrific designs and getting to work on them?) I'll head over there to look at the other quilts as soon as I tell you that your circle of flying geese is amazing. I know that paper piecing helps with these tiny sorts of projects, but this one really takes my breath away. Superb! Congratulations on winning the challenge. Your quilt was my absolute favorite out of both categories. I'm not surprised you won! This spring - planting all heritage seeds for the first time in our garden. :) And pretty happy about it! NO GMO's! Congrats on winning!! I'll be sewing lots of bee blocks and round robin pieces this spring! And working with a bunch of solids for a little parade thing on my blog. Lots of things to work on here!! Congratulations on winning! I LOVED Shattered when you first posted it. The rest in the "series" look great too! I really love the dark background and the outline quilting. Congratulations on your blogoversary! Thanks for the chance to win. Congratulations on your win with Shattered, I'm so pleased for you! I loved it as soon as I saw it and the quilts it inspired are gorgeous too. I'm loving your tiny paper piecing too - you've got me wondering what I can try next! Congratulations! You have done so much in a year; it will be fun to see what you make and do in year 2. This spring I want to finish up a number of projects, including Swoon and a king-sized bear paw quilt -- and also get some tops quilted. So I have to exercise some willpower and not start anything else! I am planning to make my very first quilt this year! Congratulations on winnning with Shattered! It's an amazing mini. I'm working on my first king size quilt in lovely spring colours plus I have oodles of WIPs I won't list (it's a scary long list ;o)...so my Spring will be filled with as much sewing as I can handle! I'm finishing up some UFO's, working on 2 new quilt designs, and teaching a beginning quilting baby doll quilt class. Thanks for the giveaway! Those are some itty bitty triangles. I plan to make a quilt or two and several items (bags, scarves) for an upcoming craft fair. Happy blog birthday and congratulations on your winning the Tangerine Tango Challenge! My next project is hand quilting with some perle cotton. I really like shattered, but seeing the collection together is really outstanding. This spring I am focusing on a couple of new mini's that I want to try some patterns of my own. Congratulations on winning with Shattered! I love all the oranges! And happy blogoversary! When I saw that you had won, I did a little happy dance for you, you totally deserved it! Your quilt is so awesome and creative! Congrats! Congrats on your blog-aversary also, so cool...I think it was close to around this time last year that we met! Spring projects...making some Tova tops for myself, I need new clothes after having the baby! Congratulations. Shattered is awesome. And I love your flying geese mini. I'm a pushover for brights on white! Would love to win that bundle of fabric. I have a new grandson arriving in a couple of weeks. It would make a great baby quilt. Thanks for the chance. 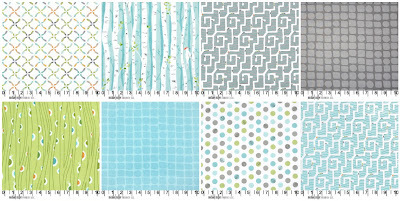 This range of fabrics is so so delicious!!! Great prints and I don't know about 'baby' - I think they are great for 'big-ies' too lol! We are currently in Autumn and i have a list of gifts to make throughout the year. Currently a little man is turning 6 and wanting Dr. Seuss...not really Autumny. I am also working with some Denyse Schmidt fabrics trying out a few of the New York Beauty blocks....loving that! I love the group photo - don't think I could break up the set but your partner will be over the moon! Congrats on the win! the Birthday and thanks for the giveaway! I am hoping to finish up my UFOs this year if I don't get too distracted with new stuff....dangerous looking at other blogs then. I've got so many little projects I want to work on this Spring--like clothes for my daughter, little wallets and coin purses, and maybe a pair of slippers! I missed the giveaway but I still wanted to congratulate you on winning the contest. Your project is wonderful. Yes, and Dragonfly is a great Canadian Shop. congrats on the tangerine challenge win- the quilts are all gorgeous! i am planning lots of minis and a block design! I plan some Easter sewing (decoration and little gifts). Congrats on one year of blogging! Isn't blogging wonderful. I stopped by from Dragonfly when I saw the birch bark and woodpecker fabric. So awesome. I would love to win your giveaway so, fingers crossed. Thanks. Swaps and mosaics - have you ever compared? Swaps - leaving and arriving.